Hands On Painters Inc., one of Maryland’s most trusted privately owned painting and handyman service providers with over 15 years in the business. Now celebrating over 5,000 homes painted! I know that our name gives it away, but we do indeed paint for a living. Our goal is to work closely with our clients, in order to meet their decorating and design needs. It is important to us that we complete your project on schedule, with an attention to detail that will transform your property in line with your expectations. We provide interior, exterior, handyman services, along with resale and rental repair and maintenance. A Painting Company You Can Trust Honesty. Professionalism. Quality. Service. When you choose Donovan’s, you know you’re getting the best. 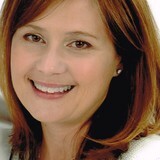 All Donovan’s personnel are bonded, insured, highly experienced professionals. Donovan's Painting is a family owned and operated painting contractor with over 20 years' experience serving commercial and residential. 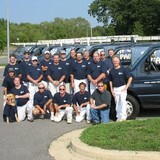 We are fully licensed with the Maryland Home Improvement Commission and have liability/ workers compensation insurance. We're a small, local company owned and operated by a contractor who works personally on your job. 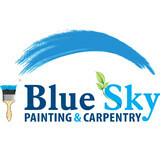 Our team of painters are efficient and reliable, guaranteed. Call or message to schedule a free estimate. You can count on us to arrive promptly, work as non-intrusively as possible and show respect to you and your belongings. On top of this, we always provide work of the highest quality.We recognize that each home is different and that each customer has his or her own individual preference. We strive to preserve what makes a home and its owner unique.Choosing colors that reflect your style and personality is no easy task. 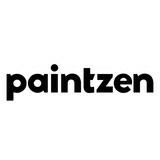 We are more than happy to guide you as you choose colors, sheen, and paint products.